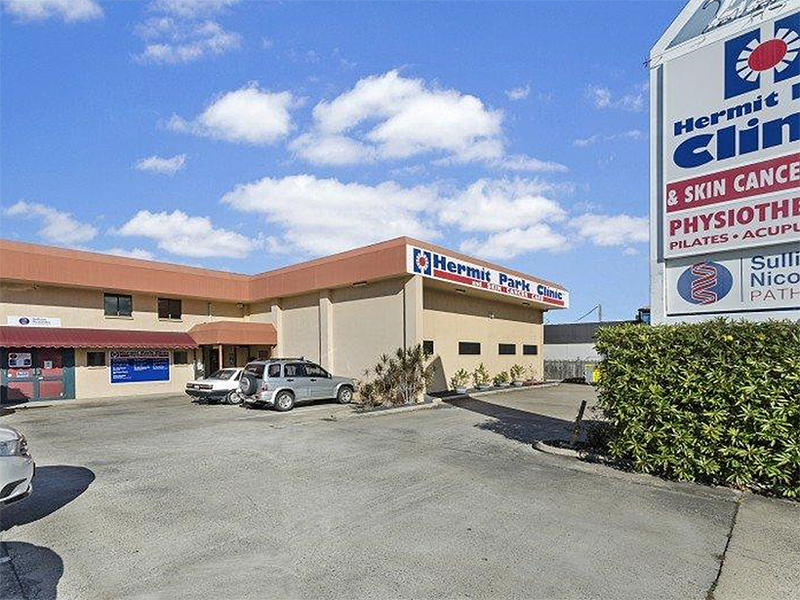 The medical centre at Hermit Park in Townsville sold on a 9.43% yield. Cast your commercial property radar beyond the capital cities and there are bargains to be found, with sumptuous investment yields approaching 10%. That’s the sell from agents in Queensland regional hub Townsville, which is one of many regional centres continuing to log significantly higher yields than capital city markets, despite much of its own market being very tightly held. Colliers International commercial and industrial executive Shaun McLaren says investors from outside Townsville are targeting the region as a source of strong investments with more attractive yields than what they could achieve closer to Brisbane or other capital cities. “Some are local investors, some are from out of town. There seems to a bit more interest from out of town, seeking higher yields that they can’t get in metro markets. There has been an increased interest,” McLaren says. Among the recent sales was a medical centre on Charters Towers Rd in Hermit Park, which sold to a non-Townsville-based investor for $1.55 million on 9.43% yield. The property, once home to the Hermit Park Squash Courts, had been transformed into a medical centre, with 548sqm of buildings and 160sqm of mezzanine offices on a 1300sqm parcel of land. It is leased to the ASX-listed Independent Practitioner Network. The medical centre at Hermit Park in Townsville was once a squash facility. “Given the strength of the lease to IPN and the property’s superior location and price point, we received very strong interest during the campaign,” McLaren says. Elsewhere, a large retail complex leased to Pet Barn and St Vincent De Paul on long agreements at Deeragun sold in December for more than $5.5 million on a yield of 8%. And the previous month an industrial facility at Mount Louisa leased to Weir Minerals Australia traded for $4.45 million on a 9.2% yield. McLaren says the high yields come despite the limited availability of stock locally. “There’s not a lot on the market. A lot of the better assets are pretty tightly-held, there’s not a huge motivation to sell in the current market unless they’re getting good yields for them, otherwise the owners are just hanging onto them,” he says. “The strength of Townsville is the diversity, because we’ve got the army, we’ve got the port, we’ve got the university, we’ve got the major hospital, and we’ve got strong government employment, and because of that there’s a diverse economy and that helps.